With hundreds of thousands of hibernating daffodils getting ready for their coming out party this spring, the fourth Annual Newport Daffodil Days Festival, promises to be bigger and daffier than ever. Featuring nine days of fun, free, family activities throughout Newport, the Festival allows visitors to revel in Mother Nature’s beauty while “going daffy” at over twenty different events, beginning on Saturday, April 15 with the Preservation Society of Newport County’s annual Easter Egg Hunt & Brunch on Rosecliff’s oceanfront lawn followed by the Festival’s Opening Ceremonies at 2 p.m. on Saturday, April 15 at Bannister and Bowen’s Wharves in downtown Newport. Purchase a Daffy Pin at Bowen’s Warf and the Discover Newport Visitor’s Center for only $5. Those wearing the pin during the Festival get “Daffy Deals” at participating Newport shops, restaurants and attractions. 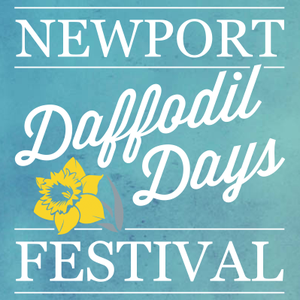 Go to our Newport Daffodil Days Festival Facebook page for updates and weather cancellations. NO METERED PARKING IN NEWPORT FOR THE FESTIVAL!